Using the international 52-card deck without jokers, the basic version of this game is popular globally but variations of these game have now also surfaced providing a new level of excitement. Since this is a game that has intrigued many, we have created a great guide to help beginners and advanced players alike with great tips on coming out successful at this game. With our Live Blackjack strategy and tips, you should easily move from beginner’s level to become a real pro in no time. When is the right time to hit or stand? How does Bet Behind take online blackjack to the next level? Read on to discover. One of the most important decisions you have to make when playing Live Blackjack is to either hit or stand. Knowing when to hit or stand is also crucial in helping you win this game. The Dealer is likely to hit on any hand 16 or lower. If you’re holding a hand value of 17 or less, your chances of winning are much lower unless the Dealer busts. The quickest way to win at Live Blackjack is to double down at any given opportunity. This can either double your bet or end up costing you twice as much if you do it at the wrong time. We suggest doubling down any hand totalling 11. This feature can turn out to be a lifesaver in this game, provided you do it with the right cards. We don’t recommend splitting 10’s or 5’s but to always split Aces and 8’s. Splitting into a pair of 8’s give you a better chance of winning since your chances of hitting two hands higher than 16 is much bigger. Once you have grasped the basic rules of Live Blackjack, then your next step would be to increase your chances of winning twofold. If you’re set to play Live Blackjack and there’s no seat available at one of our tables, then Unibet has the perfect solution for you. Introducing Bet Behind which gives you the golden opportunity to place bets on another player’s hand while you’re waiting for your turn at the table. You can bet behind while you’re waiting for a place at one of 7 main seats at the table so you don’t have to wait to play. You can still bet behind even when you’re seated at the main table. Bet Behind offers lower stakes meaning that new players can easily join in the fun without risking much. If you’ve decided to take the plunge and try Bet Behind, you will still have the chance to place bets even when seats become available. Our best advice for being successful at Bet Behind is to pay close attention to the player’s achieved medals which will give you a good idea of how many game rounds they have won. Of course if you’re betting behind, you will also start to automatically follow the player’s decisions and potential double bets but with the added advantage that you can adjust your betting strategy along the way. This is one of those age old questions that have had many blackjack players baffled over time. The answer to this easy question all depends on whether you think you might go bust if you hit and ask for an extra card. If your blackjack hand has a value of 11 or lower, then your chances of busting are close to nothing. Your best scenario would be to reach the hand value of 21 turning you into an instant winner. If the value of your hand is 12 or higher then this is a difficult scenario altogether. If you have 12 in hand and hit a 10 then you will immediately go bust. However if you stand, you only have a hand value of 12 which is very unlikely that it will help you win. Of course the chance of you losing is much higher if you do stand. There is however no straightforward answer as it depends on a number of factors including the dealer’s face up card and whether you have a hard or a soft hand. With a soft hand you will be excused for being aggressive. If you exceed the number 21, you can always convert an ace from 11 to 1 so it would be best to hit up to a hand value of 12. Always stand if you have 19 or more. Live Blackjack or any other type of online blackjack is one of those games that the result together with your chances of winning are all affected by your skill levels. Most players usually start off by learning the very basic principles while the big majority never even get past that stage. Many players unfortunately end up stuck in the beginner levels and their results tend to suffer the consequences. For starters you need to keep in mind that every hand you have has an average win or loss associated to it. For example imagine if you’re doubling with a hard 20 against the dealer who is showing a six, then you’re likely to have a very low payout compared to standing. This is why we need to eliminate any mistakes you make that have large margins and to work hard at removing mistakes with smaller margins. 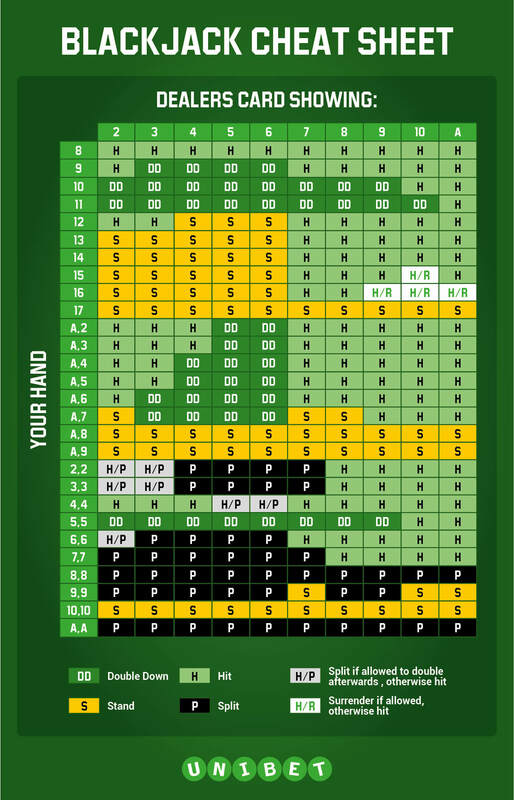 As advised earlier, you need to know when to hit and when to stand when the dealer presents you with a weak card facing up if you have a hard total of 12 or higher. In this case you need to come up with your own rules to keep in mind when making any type of play. Join one of our delightful dealers at the Live Blackjack table and good luck!